Sewing is a lot like making a puzzle. Except in sewing you also make your own puzzle pieces. There are borders, there are corners and points where everything joins back together. I love it because at first you have an idea of something 3D, which you’ll have to lay down in clever 2D pieces that will be sewn together back in 3D to fit your body, to endure wearing, and to be a perfect match of that idea you had, and now came true. Anyway, enough poetics, ages ago I’ve wrote about how to draw a pattern from an existing garment. The thing is, when you do that you’re basically deconstructing something, therefore you’ll end up understanding how it was made and you can also adjust measurements to fit you perfectly! That skirt I made requires a little work but it’s totally feasible, quite easy to make and to figure out: a waistband and a flared (slightly gathered) circular skirt that overlaps itself. Take the measurements of your waist (make sure you can breathe! ), and then draw a line with this measurement. 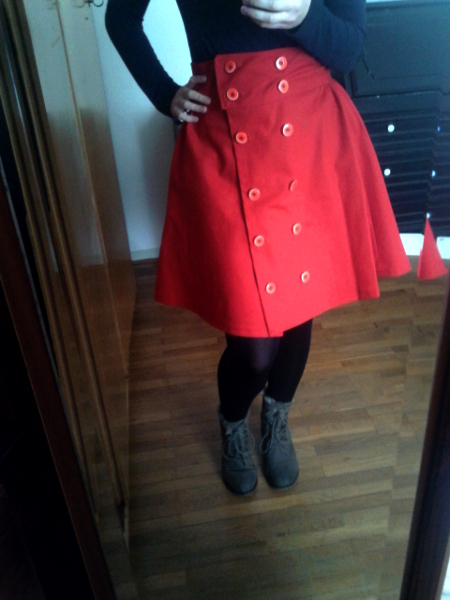 Now add 13 cm to this line so that the skirt will overlap. 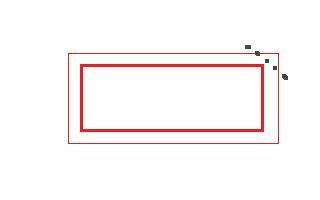 Now measure your back and place this measurement in the middle of the line you’ve drawn. 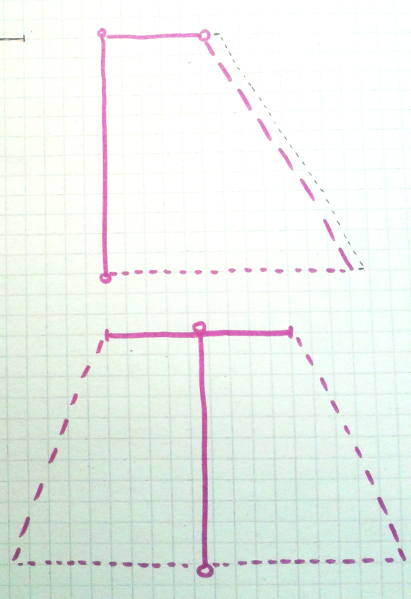 Draw a rectangle with this line as a base and 9cm high, cut it and you have your left, back and right piece! 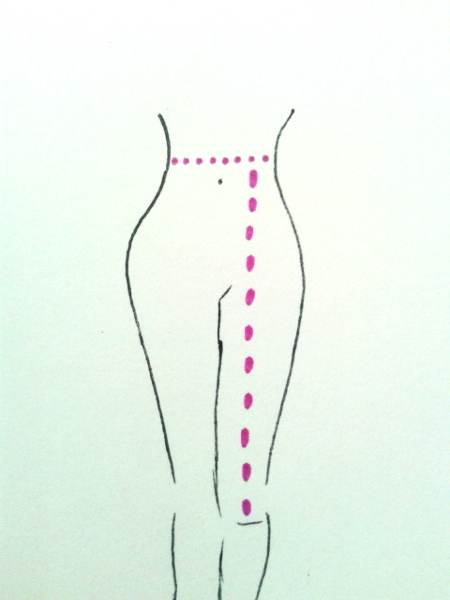 Now draw a vertical line, it should be the measurement from where the waistband ends to where you want the skirt to end. Prepare three pieces like so. 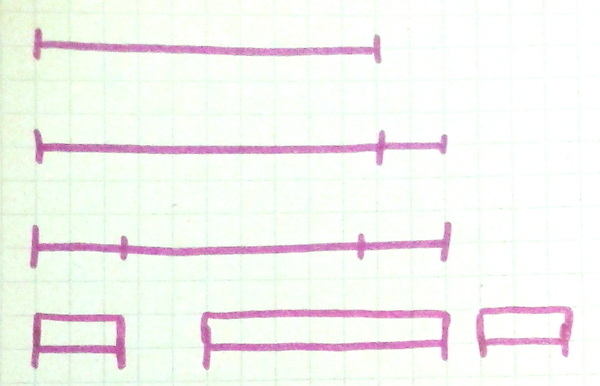 Draw a horizontal perpendicular line, starting from the tip of the vertical line, with the left waistband measurements; repeat with the right side. Draw a horizontal perpendicular line, whose center meets the vertical line you’ve previously drawn, this is your back waistband piece. My model is sightly ruffled, I’ve calculated 5cm more on the left and right piece, and 10 more (5 per side) on the back piece, you’ll ruffle this later. Then it’s up to you how flared or narrow you want your skirt to be, decide the measurement, divide by the three pieces, draw the line. Connect top and bottom line. Congrats! You have your pattern! Cut two pieces each for the waistband parts. Sew the left part to the back, and the back part to the right. Repeat. Iron seams flat. 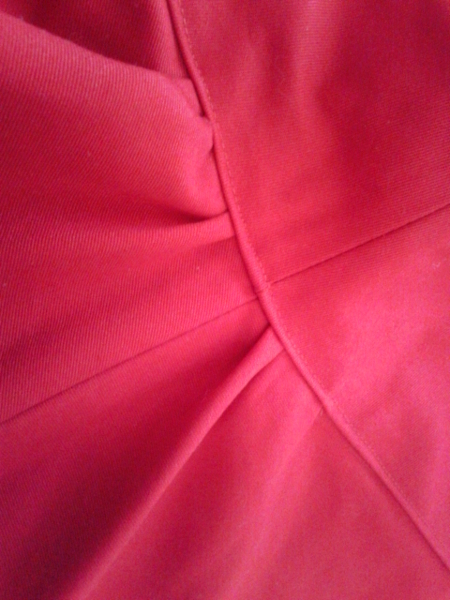 Sew the two waistbands togheter on three sides only, right sides together, leave the bottom open, Iron seams flat. Turn it inside out, if you need cut the corners a little bit to avoid bumpy fabric. 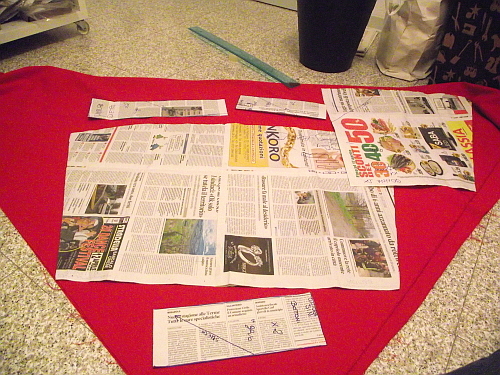 Cut one piece each for the skirt part. 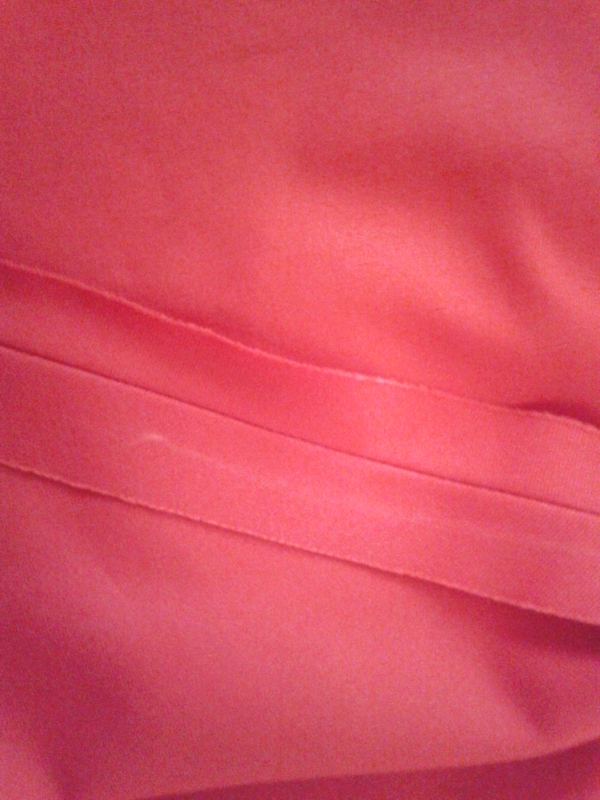 Repeat with the lining (the lining is slightly ruffled too in my skirt, but you don’t need to if you don’t want to). Hem the sides of both. Sew left to back to right for both. Sew together the top of fabric and lining. Run a basting stitch in the back part and a little bit too in the side parts, ruffle untill it fits in the waistband. Stitch the ruffles closed, iron them. Insert in the waist band, turning its edges inside, and sew everything together. Adjust the length if needed and hem the bottom of the skirt and the lining. Measure and mark where you’ll need buttons. 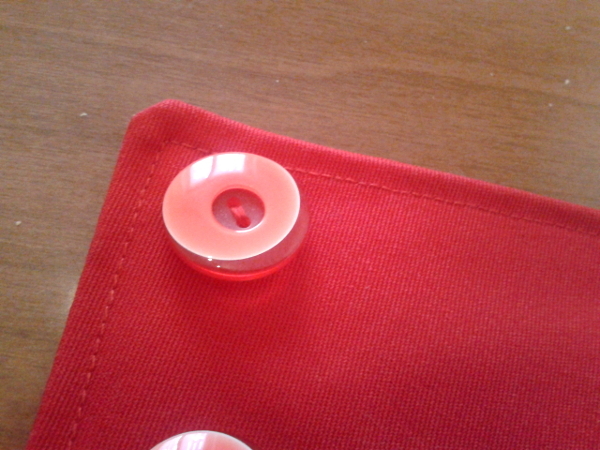 Open the button holes and mark where the button’s will go. I think I need an applause for my plastic yet dynamic pose in the first picture, crumpled skirts that need ironing have to be worn with irony (no pun intended…), my crumpled face is intentionally missing because I love you. Esigerò la posa plastica. Sapevilo!